Lately we’ve been getting a lot of request for Canine Good Citizen training, so it seems right to discuss the program and why we think it’s so important. What is The Canine Good Citizen (CGC)? As I mentioned before, the Canine Good Citizen training program is binary. On one side, it’s about having a well mannered dog, but on the other hand it’s equally about responsible dog ownership. The CGC is a non competitive test composed of 10 simple exercises. It’s a pass or fail sort of thing, and you have to pass all 10 items to pass the test. All of our basic training packages are designed with simple training goals to prepare dogs and their owners to effectively pass the CGC. The behaviors highlighted in our training programs are things that dogs and handlers should know and be able to demonstrate in private or public with varying levels of distractions. 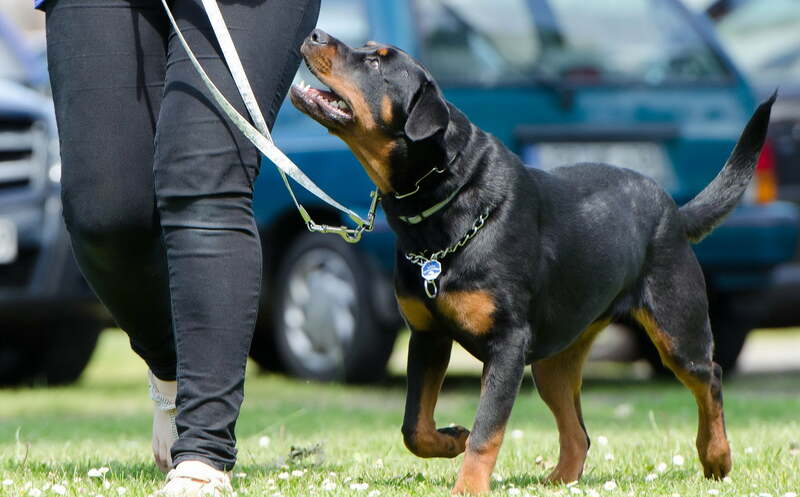 Skills like SIT, DOWN, STAY, HEEL, LEAVE IT, and COME help ensure success even for dogs with aggression issues. Your dog’s ability to execute the prescribed behaviors will allow your friends, family and neighbors to witness what’s expected of a well behaved dog. We want all of our clients to meet this standard. We pride ourselves on them having the type of control on their dog that invokes onlookers to compliment them on their dog’s behavior. Looking at the bigger picture… High standards of dog behavior and ownership are necessary to keep dogs in people’s homes and out of shelters. Dogs and owners who uphold this standard of canine behavior will improve the overall perception of all dog breeds. Breed perception is particularly important with all the dogs being added to the restricted dog lists here in LA. Additionally, if breeders, rescues, and shelters inform and persuade perspective buyers to aim for a CGC title, they can help set more dogs up for success in their new homes. If you’re interested in canine good citizen training or just interested in taking the test, schedule an evaluation or call us at (323) 325-5251.